Death is a given. We will all die at some point. When you strip away all the emotion, all the psychology, all the cultural impacts, is there something about death, something very practical, that we are missing out on? Death, it turns out, is also an opportunity. It is inextricably linked to wealth and property. So, as we strive to build a stronger, more equitable and more prosperous society, what opportunities does death afford us? 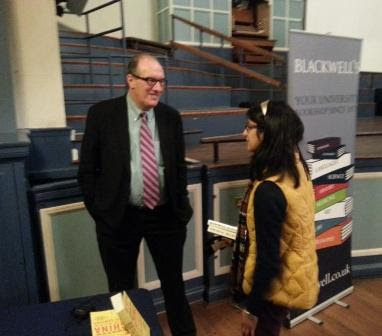 I went primarily to see the main speaker, Mr Will Hutton, who is currently Principal of Hertford College, Oxford and is a prominent Keynesian economist. During a discussion with my economics teacher where I was wondering whether there are any modern equivalents to Keynes (that is, whether there are any prominent economists today who would adapt their ideas and thoughts to suit the economic problems facing them, rather than holding on desperately to fixed ideologies), she mentioned Will Hutton and Amartya Sen. Although I had heard of Amartya Sen and knew that he specialises in development economics, I had not heard of Will Hutton. For this reason, when I found that Mr Hutton would be speaking at an event at Oxford, I was immensely excited and made sure to attend so that I could find out about his ideas and meet him in person. In his speech, Mr Hutton argued the case for increasing rates of inheritance tax as well as ensuring that the loopholes currently used by the wealthy are closed. In starting his speech by mentioning that the 5-7% levee the Romans used to place on young men from wealthy families was just one of many examples of inheritance tax throughout history, he argued that humans have always been determined to create equality by rewarding people according to the amount of effort they put into their work. He pointed out that in observing this idea, the young Marx was, in fact, wiser than the old Marx to some extent, because the young Marx understood that everybody being paid equally no matter how hard they work is fundamentally against human nature. This aspect was particularly interesting for me as I have just finished reading a book on Marx's ideas, and will be publishing a relevant article very soon. Some of the main problems outlined by Mr Hutton regarding our society were that wealth distribution is unfair and that it is ridiculous that people such as Bob Diamond (former CEO of Barclays) have been able to steal extortionate sums of money from organisations and their shareholders. 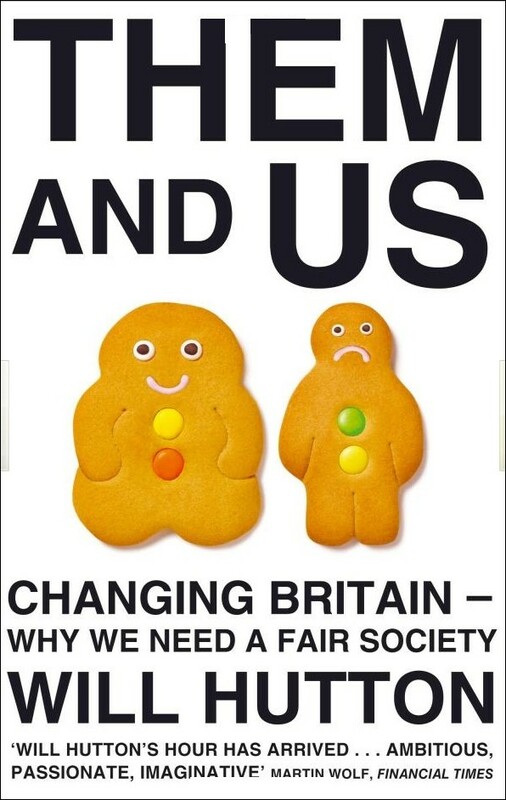 His ideas were thought-provoking, but I would like to read his latest book, Them and Us: Changing Britain - Why We Need a Fair Society, where he extends his arguments, before commenting on them. It was to my delight then, that when I spoke to him at the end of the event, he was so impressed that I had travelled from Birmingham to attend the lecture, that he insisted on buying me the very same book I was intending to read! He signed it with, "Viva, thanks for coming! 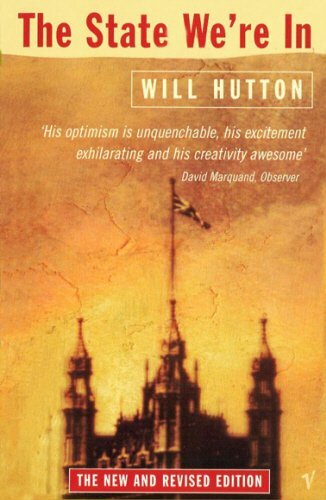 Enjoy, Will Hutton", dated it, and wrote Oxford at the top. I think it's amazing that the very first signed book that I own was bought for me by its author. Afterwards, we discussed Keynes and what I plan to do in the future, and when Mr Hutton realised that his book The State We're In would be more relevant for me as a student of economics, my dad bought it for me, and Mr Hutton very kindly proceeded to mark out the chapters I would find most relevant. I am looking forward to reading both of these books and would like to thank Mr Hutton again for his kind gestures. All in all, it was a wonderful experience! I didn't get to speak with him for very long, but I did ask him how he would personally define Keynesianism (he's a Keynesian economist). I told him that from what I've read so far (which is fairly limited, but still), Keynes seemed to be somebody who adapted his ideas according to the each situation, and so it is actually fairly difficult to know how he might have reacted to today's economic problems. For example, a lot of people blamed the economic problems of the 70s on Keynes, but it's likely that had he been alive, the problems might not have occurred at all, or might have been tackled more quickly. For this reason, it's difficult to pinpoint the Keynesian philosophy or set method of action, in my opinion. Mr Hutton said that's exactly how Keynes was, and that Keynesianism is all about being flexible with your ideas in order to make your policies as effective as possible. He told me that once, Keynes was giving a talk, and when somebody (some economist, probably) pointed out a problem with his line of thought, he considered the problem, then, accepting it as valid, adapted his argument to accommodate for that point! Apparently everybody was really surprised, but it does seem logical that all ideas should be considered and then accepted if they are logical.